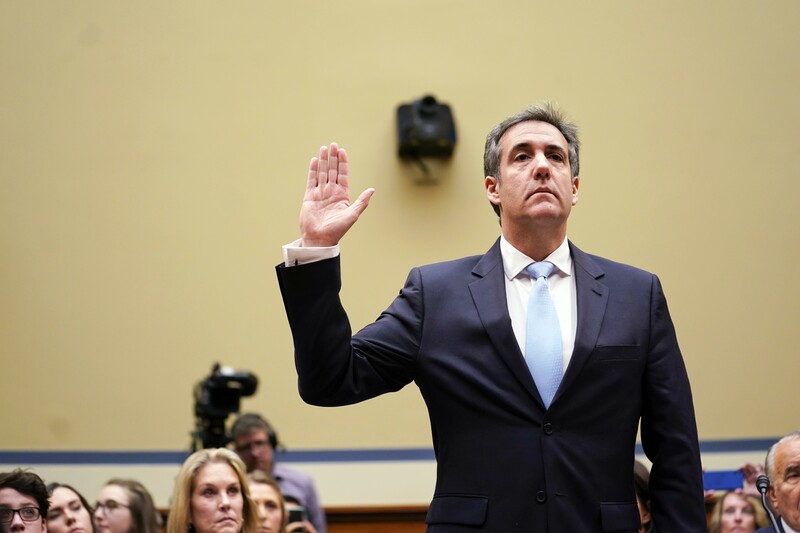 Michael Cohen, President Donald Trump's former personal lawyer, is sworn in to testify before the House Oversight and Reform Committee on Capitol Hill, in Washington, Feb. 27, 2019. WASHINGTON — President Donald Trump’s longtime lawyer and fixer accused him on Wednesday of an expansive pattern of lies and criminality, offering a damning portrayal of life inside the president’s orbit where he said advisers sacrificed integrity for proximity to power. Michael D. Cohen, who represented Trump for a decade, told Congress that the president lied to the American public about business interests in Russia during the 2016 campaign and lied to reporters about stolen Democratic emails. Trump also told Cohen to lie about illegal hush payments to cover up alleged sexual indiscretions, the lawyer charged. The allegations, aired at a daylong hearing before the House Oversight and Reform Committee, exposed a dark underside of Trump’s business and political worlds in the voice of one of the ultimate insiders. Perhaps no close associate of a president has turned on him in front of Congress in such dramatic fashion since John Dean testified against President Richard M. Nixon during the Watergate scandal. But it remained unclear whether his testimony would change the political dynamics of a series of scandals that have already polarized Washington and the country and that could lead to an impeachment battle later this year. Lawmakers of both parties sat rapt during Cohen’s 30-minute opening statement as he outlined his accusations. Cohen compared Trump to a mobster who inflated his net worth, rigged an art auction, frequently used racist language and threatened anyone who got in his way. He provided several documents to the committee. He offered what he said were financial statements that Trump gave to institutions such as Deutsche Bank and said the president inflated or deflated his assets when it served his purposes.